We know that Android Wear, like most smartwatch ecosystems, will rely heavily on a smartphone for a great deal of its functionality. Given that they’re designed, in essence, to supplement our handsets, this isn’t too much of a surprise, but with some standalone Android Wear apps having just cropped up on Google Play, it’s clear that the likes of the Moto 360, and LG’s G Watch will have minds of their own, too. The first batch of Android Wear apps untethered by any post-installation smartphone interaction have begun appearing on the Play Store, and although, naturally, we’re talking bare basics in terms of functionality, it sets a very encouraging precedent. Given that Android Wear is still a work in progress, it’s unlikely that any of its third-party services will run with any kind of fluidity just yet, and this is very much true of this first wrung of standalone apps for the smartwatch OS. 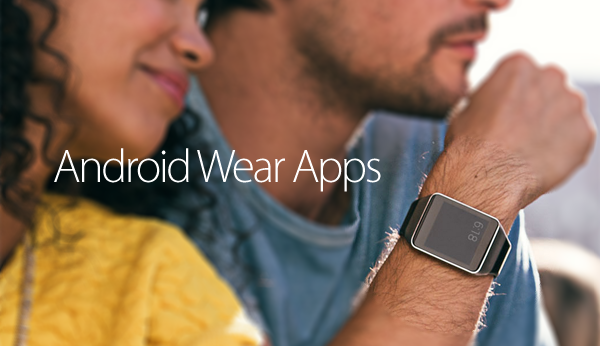 As well apps that run on smartphone and send notifications to Android Wear devices, there are also apps that will run on both handset and smartwatch, but even though these wrist-worn marvels have been portrayed as feeble servants of our much-treasured handhelds, Google has also made it possible for Android Wear to run apps all on its own. This may be something of a double-edged sword, though. Due to the limited space in terms of display real estate and internal hardware, developers are extremely limited with regards to what they can achieve on these wearables, as one dev has already discovered upon creating and submitting a couple of minor utilities to the Play Store. The first one, Wear Calc, is a very simple calculator app, and although it does function as it should, the tiny display and lack of feedback makes it incredibly difficult for any accurate calculations to be made. Additionally, when trying to launch it via Android Wear’s voice integration, it erroneously interprets the command as “Where Calc,” which makes the entire idea feel just a little untidy. The developer, Marian Zorilla, also pushed out a Wear Compass app offering, as you’d imagine, a native compass feature, and although – as you’ll see from the Wear Calc demonstration clip below – the platform doesn’t play too nicely with standalone applications, hopefully the dedication of folks like Zorilla will ensure that this are of the Play Store still continues to thrive. It’s also worth noting that the apps have been removed from the Play Store, with no reason being given. But it’s highly likely that they’ll make a comeback really soon.